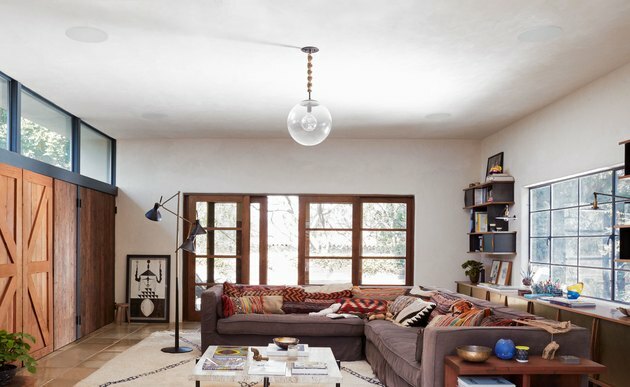 The In-Wall and In-Ceiling speakers can bring music into any room in the house without disturbing your design aesthetic, given that they're hidden either in the walls or ceiling. During installation, they can be painted to match the surrounding surface, giving them total camouflage. 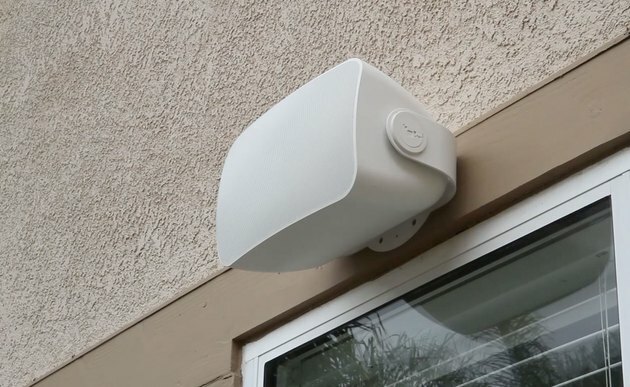 Then there's the Outdoor speaker, Sonos' first product that's totally weatherproof, which is perfect for mounting onto a wall overlooking your patio, pool, or garden. All three products are Sonos Amp compatible, meaning you can sync them all to your streaming services — it works with over 100 different programs — and control the music via your phone. And if your home is already tapped into an AI system like Alexa, Siri, or Google, you can set the whole thing up to use voice commands, too. But that's not the only way they're "smart." The three speakers feature Trueplay technology, which optimizes their sound depending on the size of the room, the furniture in it, and their location within it. If you love to entertain (can anyone say pool party with outdoor speakers? ), these are the products you'll want installed. 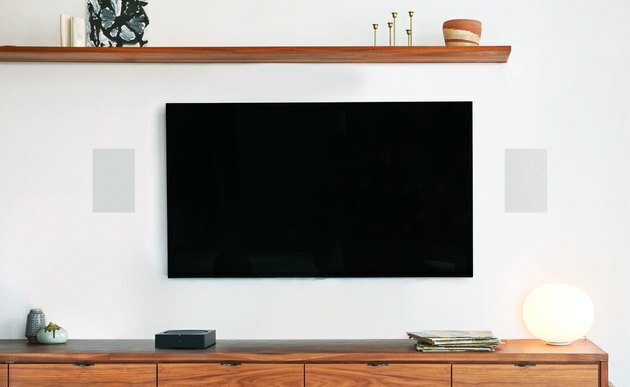 The In-Wall speakers and In-Ceiling speakers are $599 per pair, with a presale available on Sonos.com now and an expected shipping date later this month. The Outdoor speakers are $799 a pair and will be available in April, just in time for the warmer weather. Not looking for so much of an investment into your home sound system? We still love Sonos' collab with Hay, with individual speakers costing a much more palatable $229.